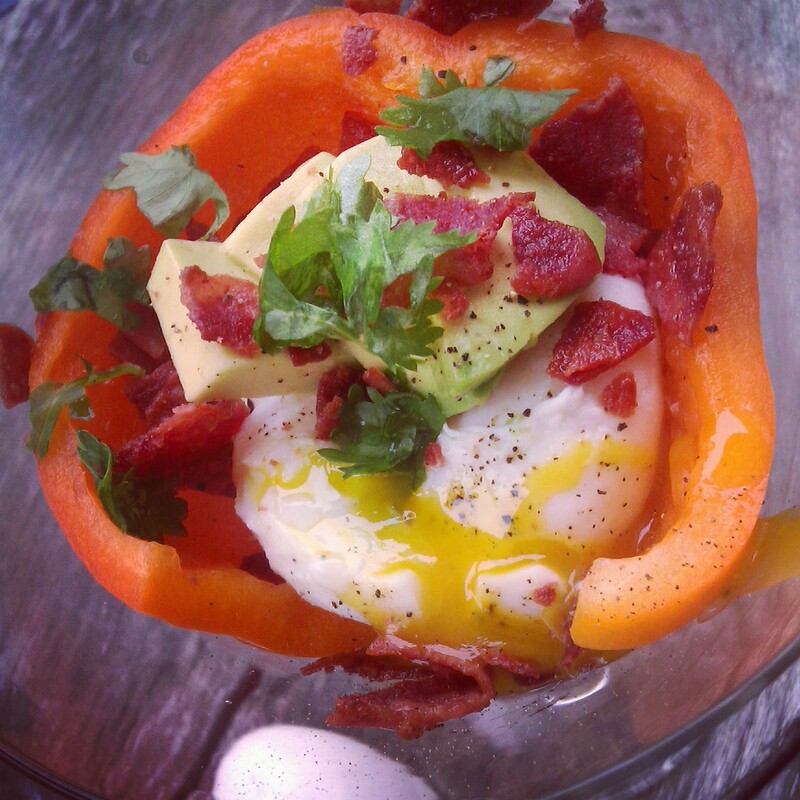 Poached egg is one of those things a lot of people are scared to try to make. I think you would be surprised at how easy it is to prepare. In this dish I wanted something easy and great to have anytime of the day. I always like to add color to my dishes as I am a very visual person. I love creating art with my dishes. But I also love the taste to be outstanding. I hope you enjoy. Bring a Small or Medium pot of water to a light boil on low to medium heat. Squeeze Lemon juice. Slowly crack egg and drop into water. Should take about 4 minutes or so. Always remove eggs with a slotted spoon. Place 1/2 of the Bell pepper into a martini glass (yes, a martini glass. They are not just used for drinking). Place poached egg inside. Add your avocado and garnishes and enjoy. Tony and I love this! Visually it is beautiful and I (HERs) has messed up poached eggs numerous times… didn’t know the lemon juice goes in the water… You rock Miss Creative! I tried poaching eggs for the first time a few weeks ago…I used a bit of rice vinegar in the water…I read somewhere you could use water in a pan and place mason jar rings into the water to help the eggs stay together too….it was a DISASTER. So the eggs stuck to the pan and the rings and I had egg stuck everywhere. So you use a deep pot of water? And the eggs should float? They shouldn’t touch the bottom I assume. :s I’m going to try again soon. I’ve never had luck poaching them with vinegar, but haven’t tried lemon, will check it out. Beautiful plating! Countless ways to stuff a pepper. Nice n’ fancy! Poached eggs are one of my favorite foods! I have yet to get up the courage to try it myself at home, but you made it sound easy so I may have to give it a shot!